Why a fudge striped cookie? Well, because I ate SOOO many of them as a kid. 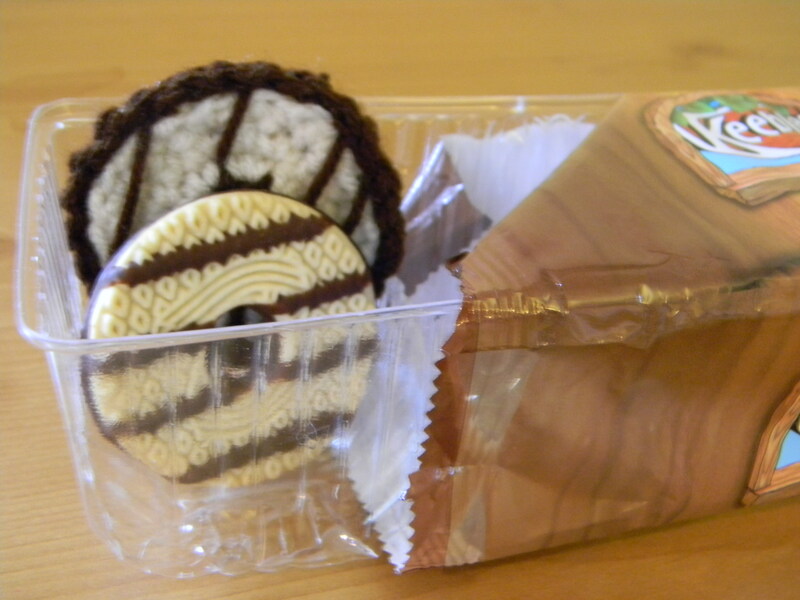 At my Mim and Pip’s, where I was watched during the day until I was in school, and where I spent days of from school, they had a container that always had some of these cookies. But sometimes I snuck them! I admit it. When I thought about making crocheted food, I thought about fruits and veggies first, I admit. 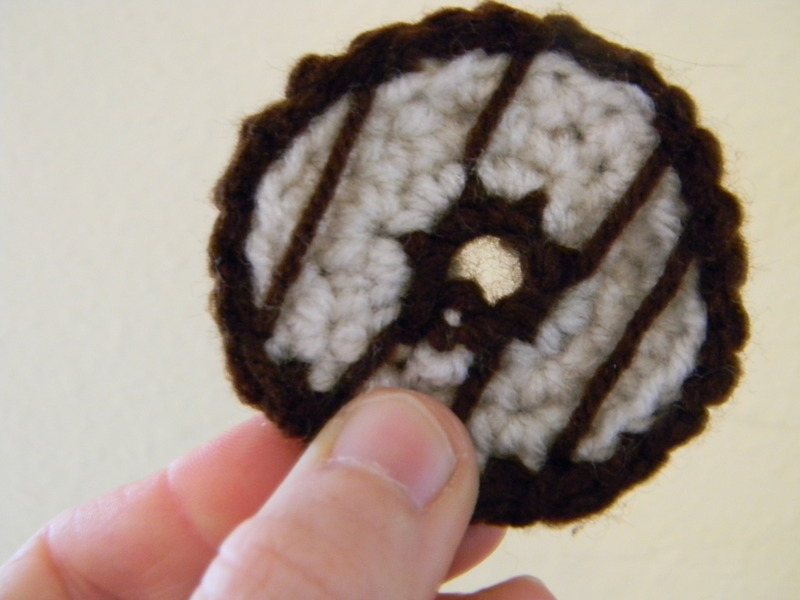 But then I thought…circles (I love crocheting circles…)….cookies….fudge stripe! So here it is. I admit that the color of the yarn is not right on, but it was what I had, and, since I have limited space and a limited budget, I went with it. 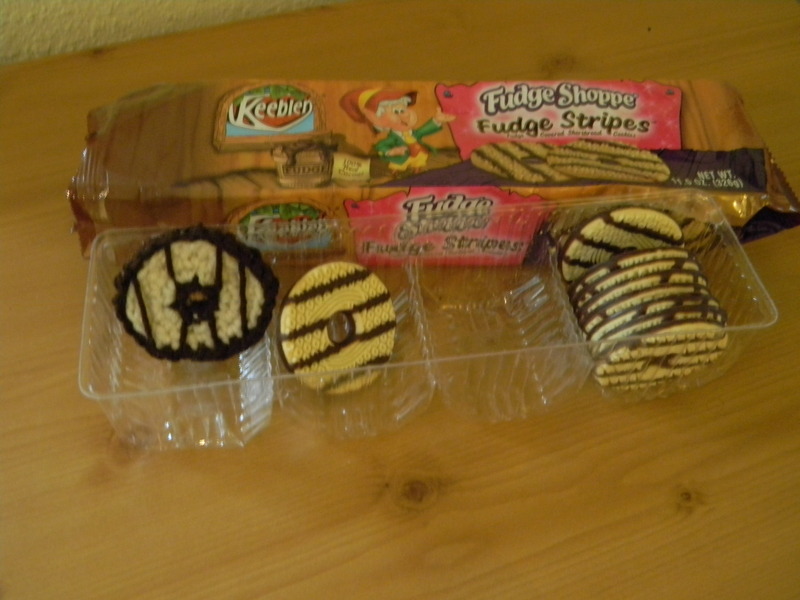 I did spring for a whole thing of fudge striped cookies though. I had to make sure this little guy was authentic! Here we go, oh yeah, no need join after each round; just keep going! start with a magic circle, and chain 1, using brown. 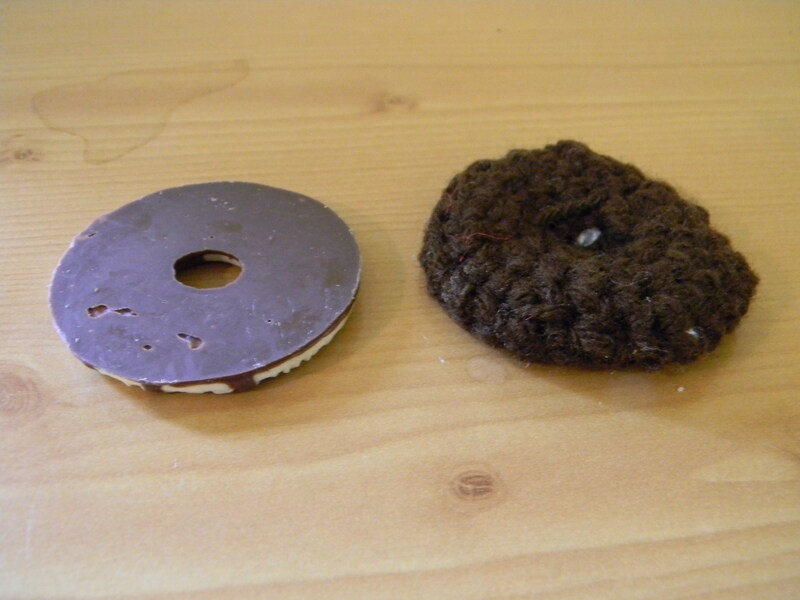 Put both cookies together, good sides facing out, and crochet them together. 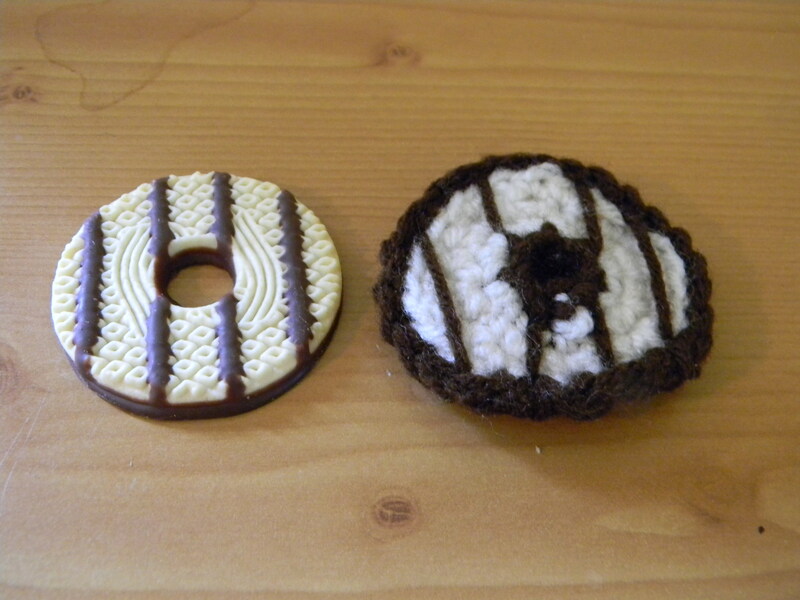 Once cookies are crocheted together, use brown to make the fudge stripes by embroidering them on. I was not as careful so mine are a bit crooked…you may want to be more careful! And congrats! 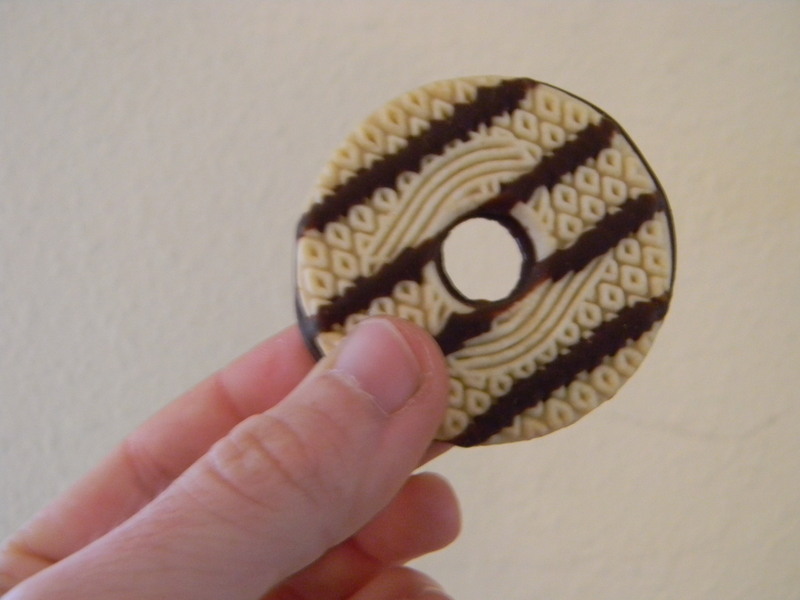 You have made a crocheted fudge stripe cookie!!! Now don’t get them confused with real cookies! Let me know if you make the cookies! I know these will be a super tasty addition to anyone’s play kitchen! For more fun things to make, check these other how-to’s out! Lastly, it’s ok to eat A LOT OF COOKIES while making these. All in the name of research....and saturated fat. 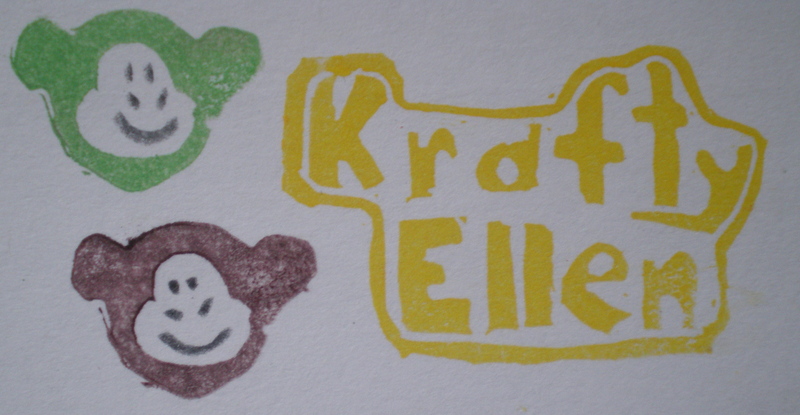 Until next time, craft on! Previous How to: Make an award winning felted bag from a sweater. Super easy! Next Sorry…..shop closed.